Gastroenteritis is a term used to describe the combination of diarrhoea, nausea (with or without vomiting), stomach pain and fever. Gastroenteritis is usually caused by an infection in the stomach and intestines. Its symptoms include diarrhoea that comes on suddenly and can be bloody. Symptoms can also include stomach pain or cramp, feeling sick (with or without vomiting), a high temperature (fever), and muscle aches. Gastroenteritis usually goes away in a few days, but symptoms can sometimes last from seven to 10 days, and occasionally even longer. Gastroenteritis can be caused by viruses such as rotavirus and norovirus, and bacteria such as Campylobacter, E. coli and Salmonella. It's spread through direct contact with a person carrying the infection. Eating food or drinking water containing bacteria and other microbes (germs) can also cause gastroenteritis. How can I avoid getting gastroenteritis? The best ways to avoid getting gastroenteritis are to practise good hand hygiene and follow food safety advice. How do I know if I have gastroenteritis? there has been a recent local outbreak of a particular infection. If the tests find certain types of infection, your GP may need to report this to the local public health team. They may contact you for more information. This is to help stop the infection spreading further. Most people don't need to see a doctor. It's best to avoid going to your doctor's surgery to avoid spreading the infection. If you're concerned, call your general practice for advice. Antibiotics are rarely needed. They're only needed for specific infections and only in certain circumstances. 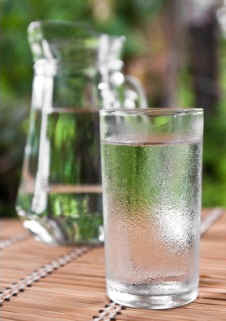 The main risk is dehydration and you can usually avoid this by drinking plenty of fluid. If you need to visit your GP, always tell them about your symptoms in advance. This is so they can put measures in place to stop other people being infected. What can I do to look after myself with gastroenteritis? Aim to drink plenty of fluid after each episode of diarrhoea. This is on top of your normal fluid intake. If you vomit, wait for five to 10 minutes to start drinking then take one sip of water every two to three minutes. Drink mostly water. Avoid drinks with a lot of sugar (such as cola or fruit juice) as this can make diarrhoea worse. If you're frail or over 60, use a rehydration powder. You can buy these at pharmacies. Eat as normally as possible but avoid rich or high-fat foods. Paracetamol can help with fever and stomach pain. Your gut doesn't absorb some medications (such as epilepsy medication and contraception) as well when you have diarrhoea. Ask your general practice team or pharmacist for advice about this if you aren't sure what to do. How can I avoid spreading gastroenteritis? To reduce the risk of spreading the infection, it's important to have good hand hygiene. This includes washing your hands with soap and water. Try to avoid preparing food if you have gastroenteritis. If you do prepare food, make sure you wash and dry your hands well first. Stay away from work, community gatherings and school or preschool until you or your child have been free of symptoms for 24 to 48 hours. This includes the last time you had diarrhoea. have contact with potentially vulnerable people. You should wait for at least two weeks after the last episode of diarrhoea before you go swimming in a pool. What causes gastroenteritis, what are the symptoms, and how is it treated? Poster with photos, showing correct hand-washing technique. You can order this as a sticker from Community and Public Health. Search for How to wash your hands. Information about how people get the virus, and how to stop it spreading. Guidelines on safe swimming in public or private pools. Patient.info – Gastroenteritis in adults and older children, retrieved November 2017. Water jug by zirconicusso at FreeDigitalPhotos.net.